Two very different films with a cult-ish vibe, High-Rise and Bone Tomahawk also proved to be some of the festival's worst disappointments. Bone Tomahawk was given the gala slot of the Cult section, a decision which I find baffling and ultimately proved to be working against it as I am still struggling to understand the cult elements about it. Set in the Wild West, the film charts the quest of Arthur O'Dwyer (Patrick Wilson) to find his kidnapped wife, enlisting a mötley crüe of accomplices, including the town's sheriff Franklin Hunt (Kurt Russell) to help him. They soon realise that the kidnappers are more savage and terrifying than they could ever imagine. 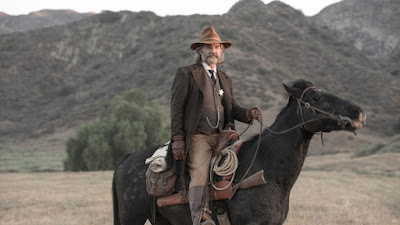 For most of its running time, Bone Tomahawk is actually a very classical western, which, despite being shot on a tight budget, conjures an admirably somber atmosphere with a gorgeous cinematography. It is also very flat. And for two third of the films, the story drags, and despite valiant attempt by the illustrious cast, is rather uninvolving. This is also the part where you keep wondering when all the cool/cult stuff is going to happen, and I did wonder if this was going to be a From Dusk Till Dawn scenario, in which a conventional story gives way to a completely unexpected development. Alas, without going into too much details, this does not happen, with a third act just as anemic, only with a dollop of insane gore. However even the outrageous violence is boring. Perhaps, away from a Cult gala screening, Bone Tomahawk will be assessed differently. High-Rise was expected in Cannes, however depending on your sources, it was either not ready or it didn't make the cut, and neither was he selected for Venice, only Toronto, which wasn't a great omen. Ben Wheatley is a director I have had an issue with from the start of his career. 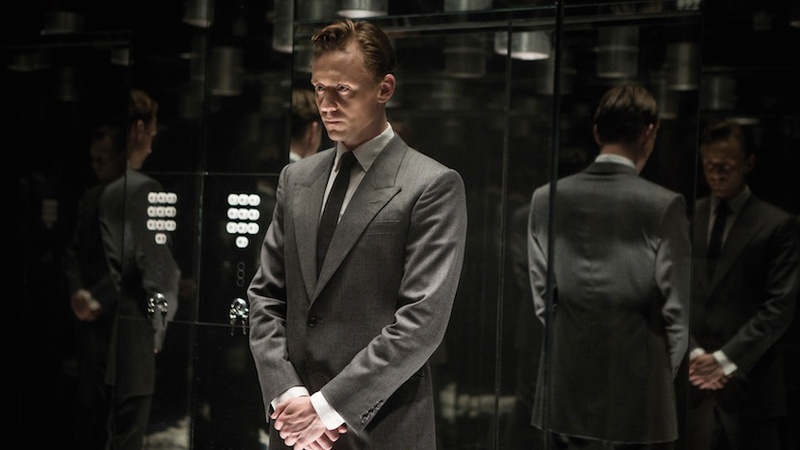 Despite an undeniable visual flair, I find him to be a poor director, who never quite manages to convey what he is trying to, and High-Rise is a cruel confirmation of this lack of directorial talent. 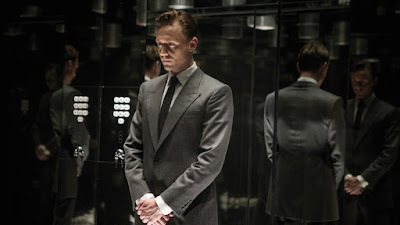 A dystopian tale of upstairs/downstairs, High-Rise loses its steam however as soon the madness begins, feeling terribly hollow (the social satire from the book is completely lost) and confused. The pace drags and the boredom sets, as the director becomes completely overwhelmed by his project, as if he had not really understood the book and was just offering us an empty adaptation full of pretty images. It is all the more infuriating as one can only imagine what a truly talented director (David Cronenberg being an obvious choice) would have made of this material. Even Tom Hiddleston character loses some of its shine, as if the director did not quite know what to do with him once the mayhem begins, and only Luke Evans is given an interesting part to play, owning the film.